Zero-valent iron in both granular and micron-scale is used as a reductant to treat chlorinated solvents as well as other contaminants (such as many pesticides and metals) in groundwater, soils, and sediments. Compass supplies zero-valent iron (also known as ZVI, metallic iron, Fe0) for groundwater and soil remediation, as well as a variety of related applications, including treating mine water and lake/pond renewal. 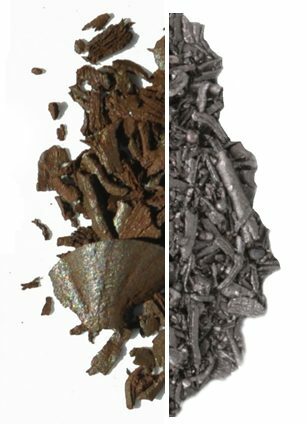 In Situ Chemical Reduction (ISCR) with zero-valent iron is advantageous as it is a safe, sustainable, and long-term treatment solution (between 3-15 years depending on the grade used as well as site conditions). Another important consideration in choosing ZVI is that production of harmful daughter products (DCE and VC) is minimized. Compass offers zero-valent iron in multiple grades to meet the varying requirements of sites with different geological settings and contaminant profiles. As reactivity and longevity are dependent on surface area, particle size is a key factor in choosing which grade of ZVI powder to use for your site. In addition to a standardized line of commonly used particle sizes, Compass can provide custom solutions to meet your site requirements. We have partnered with Peerless Metals to provide only the highest quality iron powders and all of our ZVI products are made in the USA. Because our ZVI comes from only a single source, you know you are always getting the highest quality zero-valent iron for your remediation projects. We can provide custom zero valent iron powder sizing to suit your site’s requirements. Please contact us for further information. Compass realizes that not all project sites are the same. At times, different goals apply to different sites. Our team of professionals work with you to determine what the best solution is for you, both from a cost and project goals perspective. Making the correct choice is critical to success. We would like to work with you on that choice. Compass was founded to be a service-based products company focusing strictly on customer needs; competitive pricing, impeccable delivery and accurate billing. There is a gap in real customer service in the remediation products marketplace and our goal is to change that. Your success depends on it. The Compass team delivers. We specialize in chemicals for environmental remediation and we take care to select products that meet the highest quality requirements. There is a reason we put logistics front and center – we understand how critical deliveries can be and that your projects are time and resource sensitive. © 2017 Compass Remediation Chemicals. All Rights Reserved.